Biomimetic model membranes were inspired by natural cell membrane and are rapidly progressing in the field for varied applications, especially for drug screening studies. 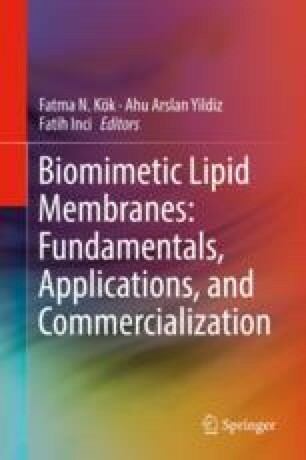 Biomimetic lipid membranes such as lipid monolayer, lipid vesicles, and supported lipid membranes have been constructed to investigate the cell membrane and membrane protein interaction with various drugs. Also, biomimetic lipid membranes provide an experimental platform to understand disease at the molecular level, which is also an important step for developing new therapeutic agents. This chapter covers biomimetic model membrane types utilized to screen drug–membrane and drug–receptor interactions, characterization techniques, and an overview of recent work in the field.